Located on the northeast side of Kenyon MN on Highway 56, the course is just 45 minutes from the Twin Cities. Call to ask about group rates and or special offers. Take full advantage of the amenities of Kenyon Country Club with one of our affordable membership packages. They're the best way to enjoy the golf course throughout the season. 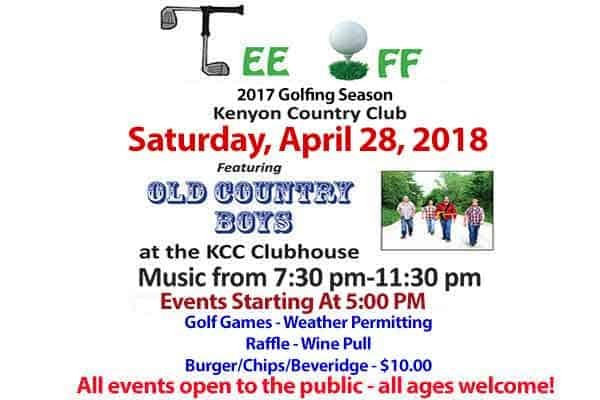 If you're interested in a great way to enjoy Kenyon Country Club with friends, family, or colleagues, then a golf tournament or outing may be the best option. We can accommodate your outing most days of the week.